Hellebore were initially a quartet of Jean Caël (bass), Antoine Gindt (guitar), Daniel Koskowitz (drums) and Denis Tagu (keyboards). Initially equipped with Rhodes piano, the band expanded the sound considerably by co-opting Alain Casari on saxophones and clarinet and purchasing a popular crumar synthesizer. This is the line-up on their only LP, decorated with art work prepared by Colorado’s Mnemonists/Biota. By the early 1980s, these young French musicians were among the most talented epigones of Rock in Opposition style. Certainly, they were too young to compete with the British luminaries of the movement. And yet, the ex-post criticism of their output, often meted out by some of the members themselves, was probably a mite too harsh. Even today, three decades after Henry Cow’s demise, the musical world is still receiving the dividends from that artistic investment. There was clearly nothing wrong with this 25 years ago. Soon after Hellebore folded, Jean Caël launched Szentendre, a short-lived band guided by similar searchlights. Koskowitz and Tagu initially joined, but soon left. Four musicians of the quintet also appeared on Look de Bouk’s first LP. Koskowitz soon rejoined Gindt and Casari in Neo Museum – a logical continuation of Hellebore, if a little more saxophone-fronted. But that incarnation did not last either. Koskowitz disavowed the entire scene and made a radical stylistic move towards more pugnacious forms of modern French rock, most prominently with Soixante étages. Denis Tagu and Jean Caël have continued to charm old and new audiences in the surviving DIY projects Toupidek and Look de Bouk. “There are those days, there are such hours”, proclaims a Reichian voice loop. Rather than cutting up formants, Hellebore allows the entire phrases to be reproduced, and repeated. And so, we learn about “the weight of responsibility” and the concerns regarding the financial future. Still, “vegetarian” it is not. The tape material is prodded by an emulsion of drums, assorted noise and vinyl crackle. Slowly harmonic hints are being diffused by Denis Tagu’s electric organ, stiff cowbells, a Cartesian rhythm box, triste piano and leaden-footed electro-beat. Against this pile-up of orchestration, the melody had to come in higher notes, and come it does, in the form of Antoine Gindt’s surf guitar. He marinates the emergent theme with delicate, broadly optimistic gestures. It all happens with a velocity of tired hoofs, allowing Alain Casari’s clarinet to entwine within the constraints of the inelastic tempo and densifying texture, rather than ad libitum. Jingling cowbells free their partials, carried with non-descript electrified veneer. A variation on this theme is then performed on piano, clarinet and organ. Unimpressed, Daniel Koskowitz’s cymbals announce a new movement for a solo guitar, punctured by the axle of a piano playing exactly the same notes. The effect is warm, and softening, which could be surprising given the difference in prefix characteristics between these two instruments. The 25-note theme returns with avuncular clarinet. It is up to the pianist to bring it all down to the stop line. Two, lengthy ‘harmonium’ tones are quickly tamed by the cymbals and a guitar introducing another slo-mo, lazy, numbing theme borrowed from late summer. Jean Caël’s bass is unobtrusive in its solidifying role. When it speeds up, alto saxophone alternates with (almost forgotten) crumar synthesizer. An electronic drapery lunges forward in short chunks, allowing the drummer to lose the metronomic precision of the opening. Stylistically, Casari’s sax merely shadows the synthi-led staccato, even after an obligatory change of time signature. The harmonic agreement between the saxophone and the keyboard is finally broken by prominence-reordering whispers and dry skin drumming from Koskowitz. The final subsection is aperiodic, with a clean resolution from the synthesizer, bass and clangorous cymbals. A bleak, plaintive intro temporizes through the plasticity of bass-organ-saxophone triad. The eventual conflagration is sparked by the drums, a capriciously low-tuned guitar and a sandblasting alto sax. The band zigzags through multi-guitar progressions and saxophone-led interrogations. But this trendline soon collapses, giving way to keyboard-led blanket morosity. It is here that an in-your-face box rattling hijacks the spotlight from the predictably a-metric drumming, lumbering bass and a mid-flight saxophone line. Denis Tagu accelerates on his piano, faithfully traced by Gindt’s guitar mutualism. Fast, if commonsensical saxophone melody interrelates here with a fatalistically joyful guitar. By comparison, satirical piano arpeggios sound as if collected from another dimension. When heraldical drums and cymbals join in, the band can no longer fend off the accusation of Henry Cow fanaticism. A jangly guitar gains prominence over the academically pointillist band, destabilized by arbitrary repression from saxophone blow-outs. This is almost as good as the Muffins’ take on the British original. Clapping, skitter, dilapidated drumming, intrusions into piano’s underbelly… Strings are hammered, powders shaken, hands clapped, surfaces scraped until the guitar and saxophone return with a neutral variant of the opening head. Drum and bass drive in, seemingly with little idea where the theme would lead them. When Caël’s bass and an entire balustrade of glassy and metallic flickering finally embark on a rhythmic journey, a This Heat-type hairpin takes them down the slope through a blackened, well-oiled connubium of guitar and drums. At each life-saving turn, a fair amount of repetition resurfaces. The guitar meows on its own account. Then it gets dirty, cocky, squawky, occasionally punctured by the reeds. A drum salvo will close this rockiest of Hellebore’s cuts. Despite Koskowitz’s intelligent space drum presence, this is little more than a smoky piano solo, a lyrical nocturne, a contemplative poem. A smiling guitar line looks on, a box ticks with soldierly regularity, and Casari’s clarinet knits its windy napkins with inscriptions from 1001 nights. The structure tends to shift – piano and bass exchange their respective roles with the guitar. But then a drastic wake-up call clarions: a mountain howl from the Northern Carpathians, powered by an organ squeak. This apparent tribute to Plastic People of the Universe acts like a shock therapy to overconfident listeners. The chunks of organ scatter around, oblivious to the saxophone and crumar in overdrive. Only Caël’s bass still retains the ominous beat calqued from the Jan Hus’ worshippers. The saxophone, synthesizer and multiplex percussion drizzle off till the very end. Anachronistic electro-beat and acoustic piano slowly lurk out to witness perky hiking hum. A romantic juxtaposition of piano and clarinet injects a static ornament. A keyboard duo of organ and crumar sizzles aimlessly, with bass overdrive piercing through with abstract splashes of color. The organization around some eternally renewable energy pays off. When piano chords die out, the rhythm box and keyboard march out on the stepping stones to dynamic resolution. The drum machine, synthesizer and cowbells re-anchor on the closing theme. Tagu improvises on the modal piano, compressing the range focus. 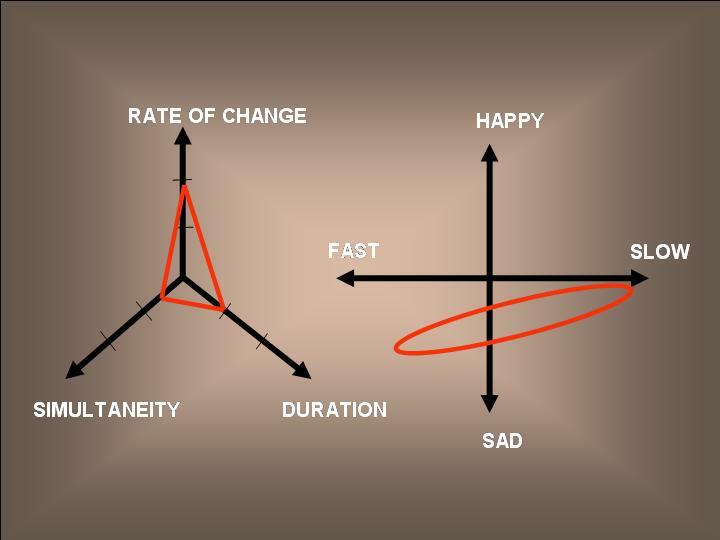 But the moods revert. On the back of a fatuous nursery rhyme clanked out by the piano and clarinet, a martial rhythm of drums, piano and guitar trundles through, prompted by Casari’s war calls on alto. It is precisely the lone saxophone that survives on the battlefield. What happens when a pianist, a saxophone player and a percussion virtuoso meet? Nothing. You need a guitarist to lead them from their abstract maze. When that happens, the saxophone runs may be brief, epigrammatic and self-limiting but they remain structurally decisive nonetheless. The track concludes with a sumptuous piano fragment captured in a space whose acoustics brings back the childhood memories of intimidating concert halls. Saxophones second an infantile, rhyming beat. The organ slices chunk after chunk. For a logical solution to the set, the ‘chalk against the whiteboard’ scrape is coming a little late. Hoofsteps clock along. And then, at long last, a Grande Finale is ushered by the band in full glory and in a rather melodious mood: the saxophones, mandolin, bass, and piano. (On side B, the track description on the insert differs from the one provided on the label; consequently, the comments above may not adequately correspond to musicians’ original intentions). 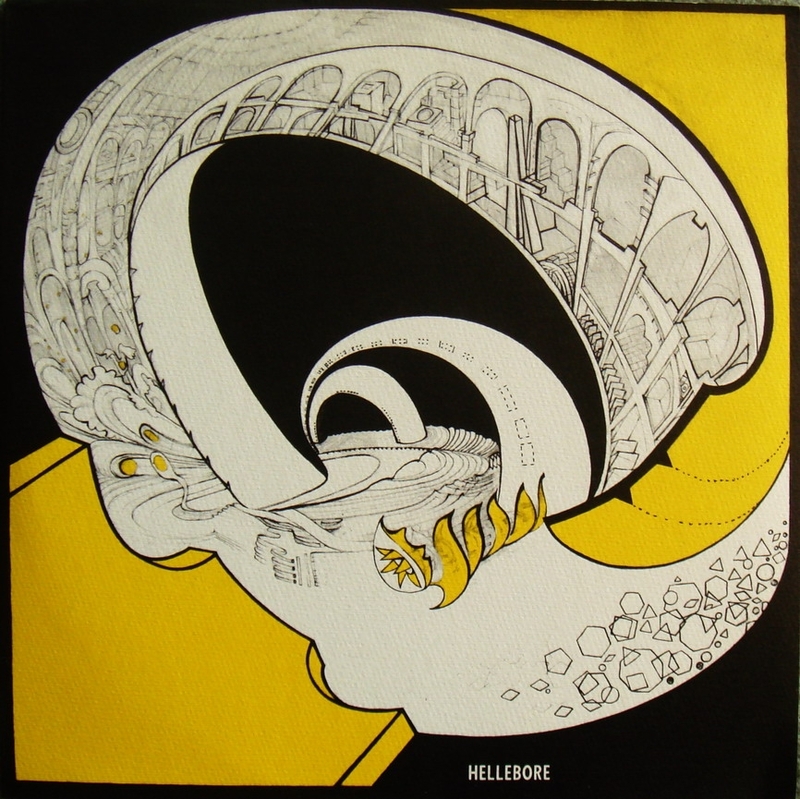 Hellebore’s tracks also appeared on compilations: “Douze pour un” (1982), “Voices Notes and Noise” (1983). Szentendre can be found on “Douze pour un vol.2” (1986), and Neo Museum on “Rencontres du premier type. Strasbourg, Vandoeuvre, Reims” (1985) as well as “Douze pour un vol.2” (1986).